We act as an independent broker for you. We have supply arrangements with New Zealand’s major meat companies. We will quote your prime stock to various companies to come back to you with the best deal. 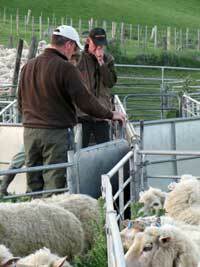 We regularly arrange supply contracts for our clients and have access to livestock funding arrangements. We are licensed auctioneers and hold on-farm auctions of livestock or clearing sales. CR Nelson Ltd can provide livestock valuations and audits whether for selling stock, farm sale or purchase, accountants audit or taxation purposes. We have agents specialising in dairy cattle and the requirements of dairy farmers. quoted through CR Nelson’s large client & agent network. emailed and faxed through our agent & client database. We will use the above networks and systems to source your stock including inspection of stock to be purchased where required. We can also source stock from saleyards throughout the country on your behalf.